A good friend’s mother told him once that if he didn’t have time to clean his apartment before people were coming over, he could just use lower wattage light bulbs. In the dimness, guests would miss the dirt and dust. Makes sense to me. Little lies, illusions and cover ups surround us every day. I used to work for a shapewear company and our motto was always ‘fake it til you make it’. I mean do you really think all those celebrities are cellulite-free? No. No they are not. It’s cold out and slow cooker season is officially on. With the slow cooker, comes so many illusions. As prep is generally pretty easy and results are more than always pretty good – it can trick your guests into believing that you are a fabulous cook. They will think that you slaved for hours over the meal. That you reinvented cooking. You may literally change the way they see less expensive giant meats. 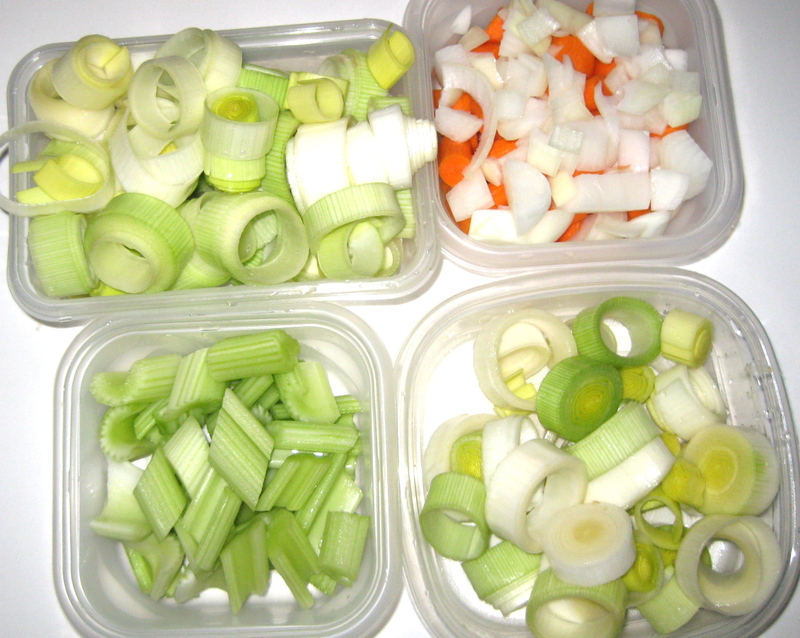 I don’t have a slow cooker anymore – too big for small living. 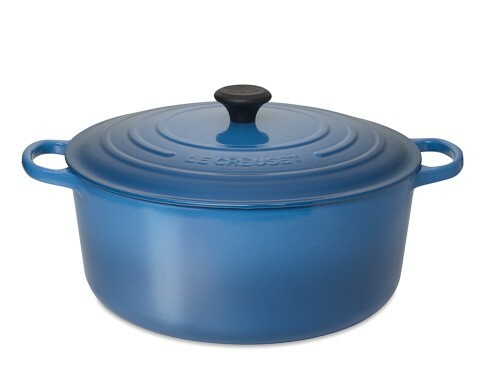 And when confronted with a Sophie’s Choice between my Le Creuset large dutch oven and the All-Clad Slow Cooker, I had to let the slow cooker go. No worries. The dutch oven works just as well if not better. So, it’s really slow and low cooking season at my place. And, last night I teased my neighbors with the warm wafting aromas of beef and herbs – providing the illusion that I was an amazingly fabulous chef, hostess and meat miracle worker. 1. 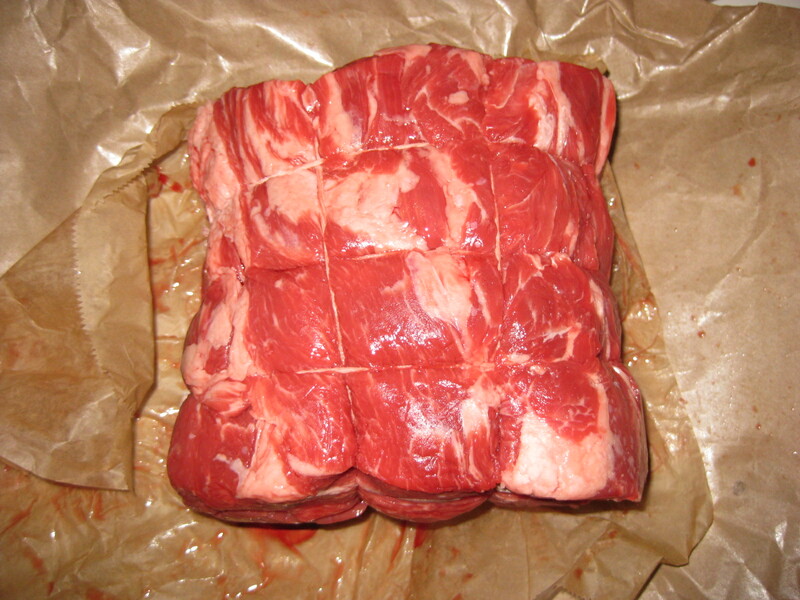 Go to Whole Foods or similar and buy a giant, inexpensive piece of meat – 4-5lb boneless beef chuck roast. Ask the butcher to tie it as this will help keep it together during the slow roast. My butcher did this string pattern with just one piece of string! NOTE: these are going to be pureed, so don’t kill yourself chopping. Just try for somewhat similar size across all veggies. 6. Open a 28oz can of tomato puree. 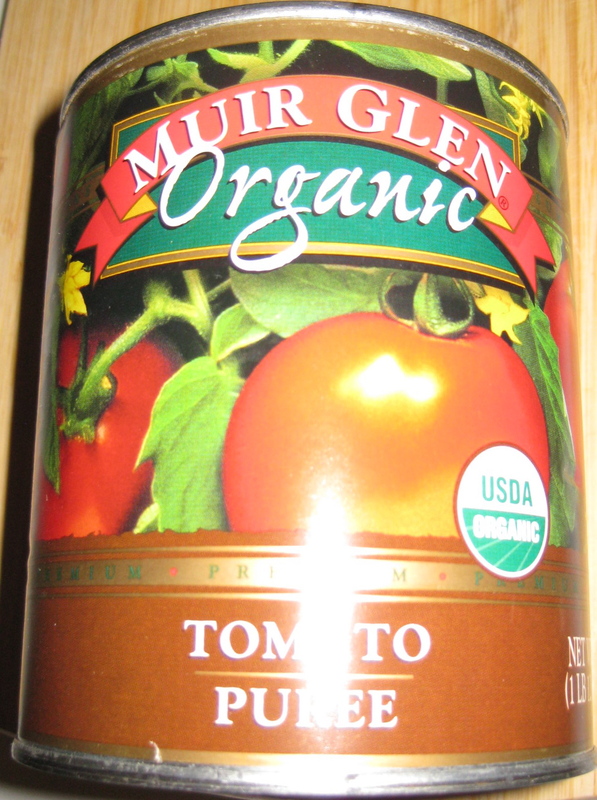 The Muir Glen was on sale yesterday at Whole Foods – Yay! OK. That was the hardest part. 10. Generously salt and pepper the giant meat on all sides and then dredge in flour. Ina uses a lot of salt (1 tbsp) I might use a little less next time. 12. Turn the heat down to medium – Add 2 more tbsp of olive oil to the pot and stir in all of the vegetables and smashed garlic. 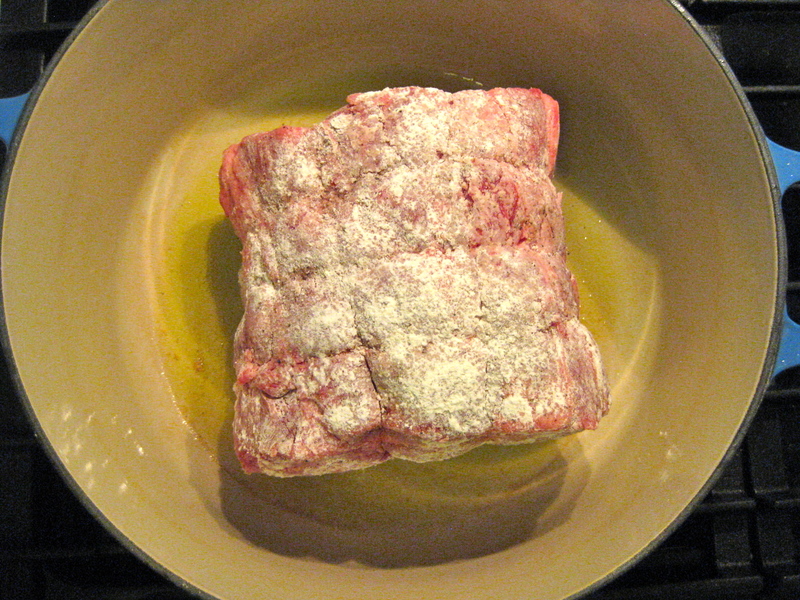 Add in 1 tbsp of salt and 1 1/2 tsp of pepper. 14. 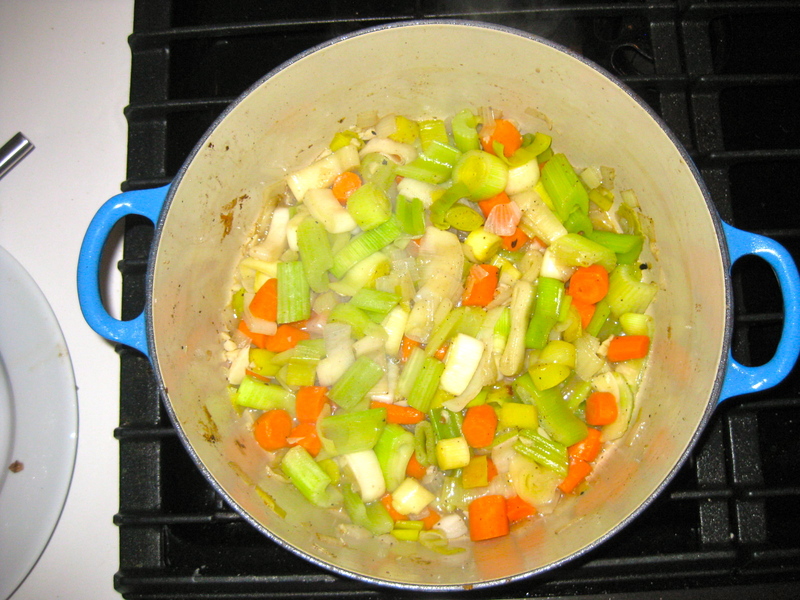 Once boiling, add in the pureed tomatoes, the chicken stock and the bouillon cube. Ina then adds 2 tsp of salt and 1 tsp of pepper…I’d skip the salt here as mine turned out pretty salty. 15. 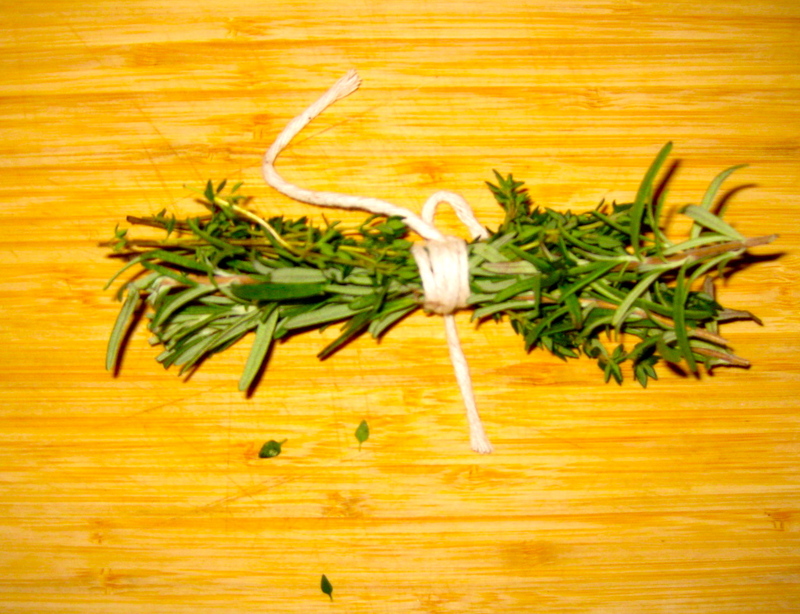 Throw the Thyme/Rosemary bundle in there and then add in the Giant Meat and bring to a boil. Cover and put into the oven. 18. 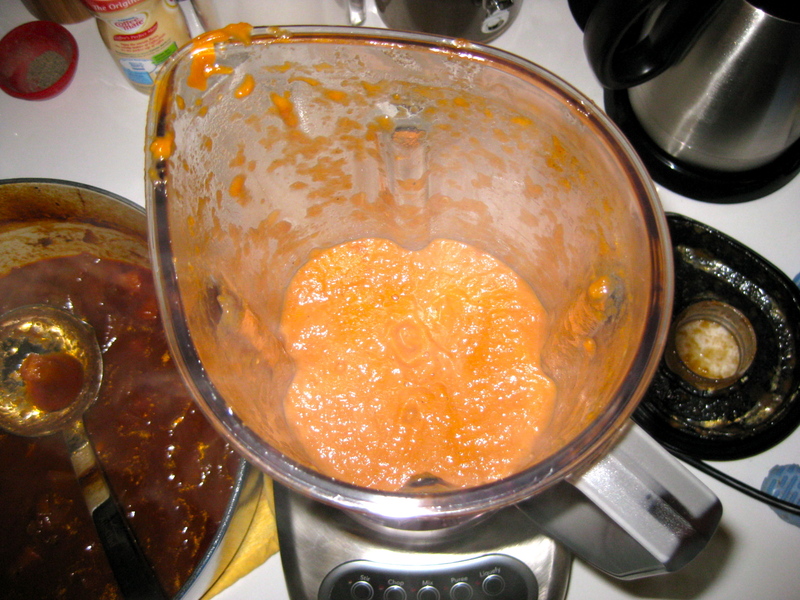 Carefully ladle some of the veggies and sauce into a blender or Cuisinart and puree. CAUTION: allow to cool a bit before blending or it will blow the lid off of the blender. Just sayin’. Puree in batches until you have enough sauce. NOTE: I didn’t puree the entire pot of goodness – didn’t need that much. Also – Ina puts the puree back on the stove and does some magical adding of flour and butter here, but, really, you don’t need it. 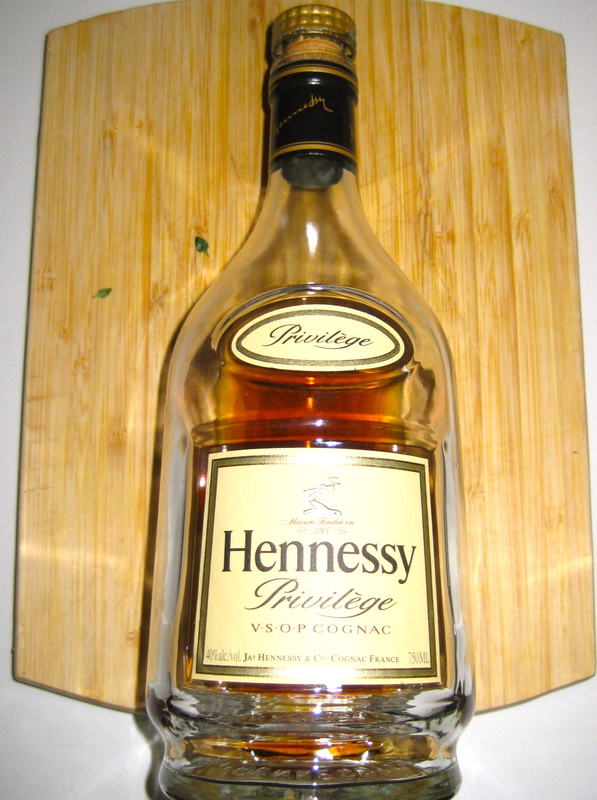 The pureed veggies and booze make a lovely sauce all on their own. In an apartment, aromas seep into hallways from everyone’s home. Some better than others. 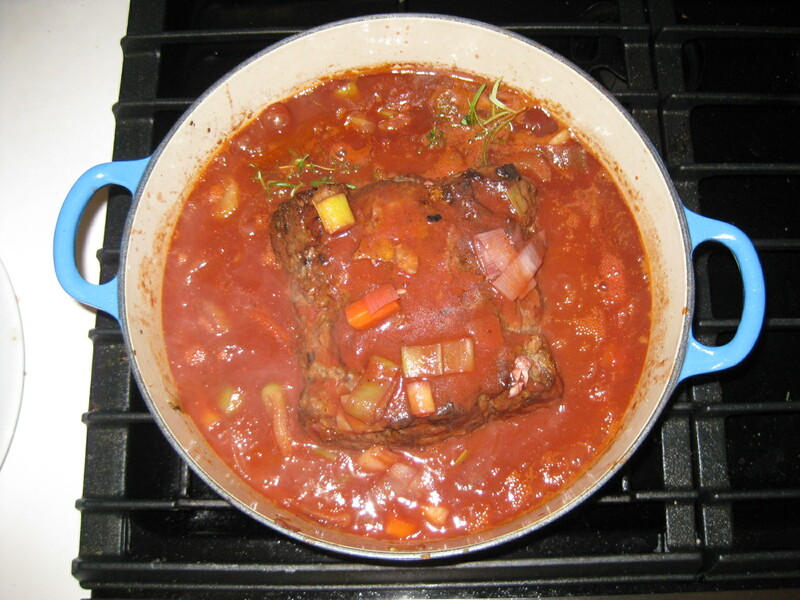 Slow cooking takes the aroma flow to a new level as the scents of deliciousness flow out of my kitchen for hours. Last night even the doormen 14 floors below had heard from my neighbors that ‘Annie was cooking something amazing smelling all day’. Ah, but ‘all day’ in this case is really the illusion. 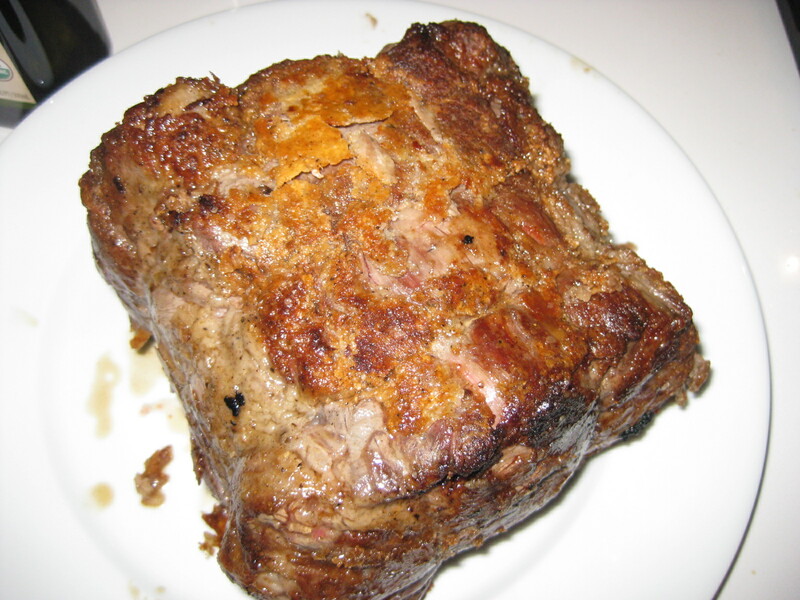 For with very little work, you can produce an amazingly succulently, moist pot roast. 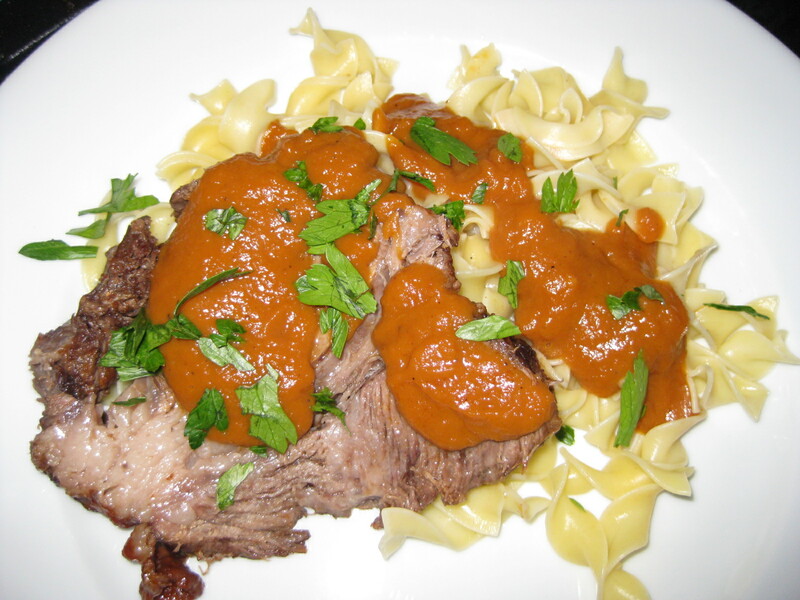 This entry was posted in Affordable Steak, Big Meats, Comfort Food, Cooking with Wine, Dinner, Herbs, Kitchens, Main Courses, Sauces, Slow Cooker and tagged Anne Burrell, dinner, Ina Garten, KitchenAid, Le Creuset, Mise En Place, Pot Roast, Slow Cooker by AnniesDishList. Bookmark the permalink.